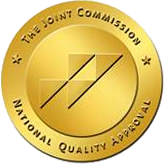 We are a JCAHO accredited Oxygen supplier. We rent out concentrators, conservation devices, and portable concentrators and we also refill oxygen cylinders. Insurance may pay for your rental or refill, depending on your insurance, though you may have a co-insurance or deductible you will need to pay. If you want to go through insurance, we will require a prescription. Listed below are prices for private pay rentals and refills. A prescription is required for all oxygen related rentals and purchases. *Prices are for every time you get a refill. It may take us up to three business days to respond to rental requests.